Republican Charles Djou emerged victorious tonight in the special election to fill Hawaii’s vacancy in Congress, giving Hawaii its first GOP member of Congress in 20 years. Djou won the special mail-in election with 39.7 percent of the vote in the final printout, released at 9 p.m. The final printout represented 171,417 ballots returned by voters in the district, which stretches from Waikiki and downtown to Mililani. Democrat Colleen Hanabusa was second at 31 percent, with Democrat Ed Case third at 27.8 percent. Djou is Hawaii’s first GOP member of Congress since Pat Saiki, who represented the party from 1987 to 1991. 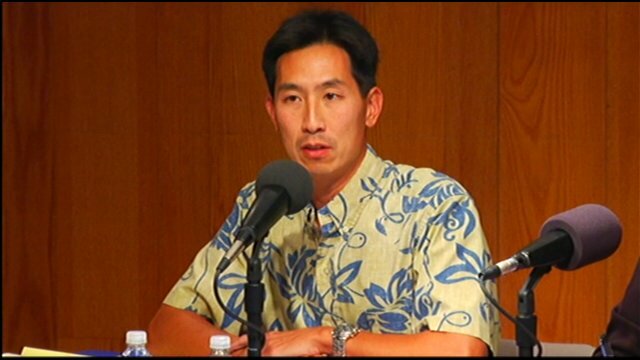 “I congratulate Charles Djou for his victory and a successful campaign based on the widely-shared values of cutting spending, shrinking government and creating real, permanent American jobs,” said National Republican Congressional Committee Chairman Pete Sessions (Texas). A quick look at the results should show fairly clearly why the celebration should perhaps be a little muted. But for the fact that there were two Democrats in the race, Djou clearly would’ve lost. This is a district that went for President Obama 70%-28% in the 2008 Election, and for it’s then-incumbent Democratic Congressman 77%-19%. With numbers like these, it’s hard to believe that Djou will be quite as fortunate come November.